off-site Payroll Administrators help reduce fraud! Pay Solutions your “off-site Payroll Administrators” takes the worry out of your business so you will know exactly where the business money is going to, there is no risk of payroll fraud taking place. Pay Solutions your “off-site Payroll Administrators” use a world class, sophisticated, advanced powerful payroll technology. This functionality enables Pay Solutions to administrate the payroll as well as the client having access to any of the information 24/7. Advances not paid back. The most passive type of fraud is when an employee requests an advance on his payroll and then never pays it back. This works best when the accounting staff does not record advances as assets (instead charging them directly to expense), or never monitors repayment. Thus, the non-payment of advances requires inactivity by the recipient and inadequate transaction recordation and follow-up by the accounting staff. A monthly procedure to review advances will eliminate this issue. Ghost employees. The payroll staff either creates a fake employee in the payroll records or prolongs the pay of an employee who has just left the company, and alters the payment record so that the direct deposit or check is made out to them. This works best in large companies where supervisors have very large staffs and so do not usually track compensation in sufficient detail. It also works well when a supervisor has left the company and has not yet been replaced, so that ghost employees can be inserted into their departments until a new supervisor is appointed. 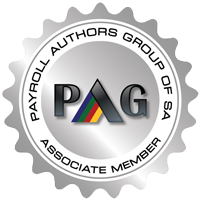 Periodic auditing of the payroll records is needed to spot ghost employees. Another way to spot a ghost employee is when there are no deductions from a pay check, since the perpetrator wants to receive the maximum amount of cash. Pay check diversion. Employees could take the paycheck of another employee who is absent, and then cash the check for themselves. This can be avoided by having the paymaster retain all unclaimed checks in a locked safe, and by requiring that everyone receiving a pay check prove his identify with a driver’s license or some similar document. 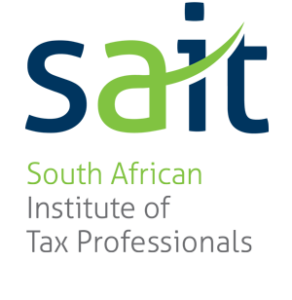 Payroll fraud has seen reported incidences increase at an alarming rate especially among SMEs in South Africa. The growing number of companies asking payroll firms to assist with forensic investigations after falling prey to payroll fraud and this indicates that the crime is on the rise. Chat to Pay Solutions your “off-site Payroll Administrators” about how secure their payroll technology is and how this can help reduce the risk of fraud within your organsiation.